SURIGAO CITY, Apr. 24 (PIA) – In time with his fourth State of Local Governance Performance Report (SLGPR) held on Thursday at the gymnasium here, City Mayor Ernesto “Nitoy” Matugas bared several infrastructure projects of the city government that were implemented last year. “Total implemented infrastructure projects in 2013 amounted to more than P69.1-million with an over-all accomplishment of 95 percent. Although there were lesser projects implemented numbering only 231 compared to the previous year’s 235, the value of the projects involved increased by as much as 32 percent compared to year 2012,” revealed Matugas. Matugas, further announced that a total of 90 projects for the maintenance, repair, improvement of roads and bridges, including line canals, drainage culverts, curbs and gutters and slope protection amounting to more than P23.1-million were implemented. “More than P13-million was spent for 25 school building projects and P8.8-million for 40 water system projects. We have also completed 67 projects covering the construction, repair, improvement of public buildings, day care centers, health centers, waiting sheds, covered courts, barangay halls and multi-purpose buildings amounting to P19.1-million. Others cover street lighting and public facilities amounting to P2.85 million,” added Matugas. SURIGAO CITY, Apr. 24 (PIA) – The State of Local Governance Report rendered today by City mayor Ernesto T. Matugas during the regular session of the Sangguniang Panlungsod at the city auditorium highlighted last year’s significant performances and recognitions. “For the third consecutive year, we are once again a Seal of Good Housekeeping (SGH) awardee (silver category) by the Department of Interior and Local Government (DILG). The SGH is given to local government units as recognition for good governance performance in internal housekeeping particularly on four areas, namely good planning; sound fiscal management; transparency and accountability; and valuing of performance monitoring,” bared Matugas. Mayor Matugas cited another recognition of the town being considered by National Competitiveness Council as the 13th most competitive city in the Philippines. He said that being on the top 13 out of the 122 cities that was surveyed and rated is already a significant achievement for a small city like Surigao competing with highly urbanized cities and metropolitan cities all over the country. “Since my incumbency beginning in 2010, we have been the Regional Winner of the Gawad Pamana ng Lahi for two consecutive years in 2011 and 2012. This is of course on top of all the other accolades we have received through the years which include the retaining of the award as Child-Friendly City in 2012, Regional Winner as Best 4Ps Program Implementer, and several others,” reiterated Matugas. The mayor further pointed these out as a product of greater cooperation and convergence with the local legislators especially the members of the Sangguniang Panlungsod, departments in the city government office, various national government agencies, civil society groups, business sector and the academe. In his speech, he also acknowledged the contribution of the provincial government headed by governor Sol F. Matugas and that of the constituents. “This state of local governance report is a product of all our efforts and joint undertakings,” underscored Matugas. “Your overwhelming support is indeed heartwarming and this will truly provide us with a stronger resolve to work harder with the reforms and initiatives we have made for the greater benefit of our people,” he added. SURIGAO CITY, Apr. 24 (PIA) – In his fourth State of Local Governance Performance Report (SLGPR), city mayor Ernesto Matugas highlighted his administration’s accomplishments on education, held Thursday at the city gymnasium. “In 2013, the city government appropriated P16 million from the Special Education Fund to support the education sector. This covers the honoraria of 86 school board teachers and 21 non-teaching staff, including the payment of their year-end benefits in the form of additional honorarium for the teachers and additional wages for those under job-order employment. An amount of P1.45 million was used for the construction of a Division Library Hub at Navarro Memorial Central Elementary School while P0.250 million was used for the survey of 16 school sites, in preparation for titling,” bared Matugas. The good mayor also revealed that there was a decreasing trend in the Cohort survival rates both in the elementary and secondary levels. “This could be attributed to several factors which force the child to engage instead in income generating activities to help augment the family income. School leavers’ rate showed a decreasing trend in the elementary level but was fluctuating in the secondary level. The Completion rate for all levels showed an increasing trend both for kindergarten and elementary level. A slight decrease, however, was noted in the secondary level. National Achievement Test – Mean Percentage Score (NAT-MPS) for Grade VI elementary and 4th Year secondary were consistently improving in the past three academic years,” he explained. A total of 27 classrooms were completed last year, one multi-purpose building and the new City Schools Division Office. Thus, Matugas expressed his warm thanks and gratitude to those who extended their contributions, especially from the private sector who tirelessly supported the government education facility improvement efforts. Also, Matugas reported that in 2013, the Alternative Learning System (ALS) program was given a big boost with the completion of the ALS and Women’s Center at Barangay Taft. P2-million facility was realized through the efforts of Gov. Sol Matugas of Surigao del Norte, and a Learning Resource Center was constructed for District III in Barangay San Juan through funds provided by the Alliance of Concerned Teachers (ACT) and the city government. “Likewise, the Hinatuan Mining Corporation assisted the implementation of the ALS program in Barangays San Pedro, Nonoc, Talisay and Cantiasay as part of its community outreach and corporate social responsibility. The test registrants for ALS A&E increased from 676 to 1,288,” he added. Through the City Scholarship Program, poor but deserving students were also able to enroll in the different technical vocational institution and higher education learning institutions in the city. The city government has allocated close to P5.9 million to ensure that poverty is not a hindrance to the students’ quest for a higher education. “Of the total 320 scholars, about 19 percent graduated in School Year 2012-2013,” relayed Matugas. Meanwhile, to address the concerns of the women and the out-of-school youth, the city government provided technical vocation education and training to them, as well as to the untrained adults through the operation of the Livelihood Training and Productivity Center (LTPC) in Barangay Luna. Some 678 trainees in three batches were able to complete short term technical-vocational courses in 2013, with Basic Computer Education posting the most number of enrollees. “The Technical Education and Skills Development Authority (TESDA) provided P4.9-million in support of the Training for Work Scholarship Program (TWSP). Of the 225 enrollees, 100 percent graduated and assessed, and 200 were certified. The Cash for Training Program (C4TP) on the other hand, produced 39 graduates and 27 were certified. 15 of them availed of the training on entrepreneurial skills development and received Starter Tool Kits based on their chosen qualifications such as computer hardware servicing, commercial cooking and automotive servicing,” he disclosed. SURIGAO CITY, Apr. 24 (PIA) – City mayor Ernesto Matugas, recounted the administrative governance carried out during his term as he delivered his State of Local Governance Report held at the city auditorium here, today. The mayor mentioned that the local council under the leadership of vice mayor Danilo Menor has passed a total of 483 legislative measures in CY 2013. Of this total, 407 are resolutions, eight are ordinances constituting local laws, and 68 appropriations ordinances. “The Sangguniang Panlungsod (SP) continues to partner and complement our efforts for development especially in endorsing our projects for local poverty reduction,” said Matugas. At the onset of his term of office in July 2013, the city called for the accreditation of non-government, civil society, and people’s organizations (NGOs/CSOs/POs) in line with the mandate provided for under the local government code. A total of 41 organizations were accredited by the SP, as of December 31, 2013. Aside from these 41 accredited NGOs/CSOs/POs, the city also extended the participatory planning and project identification process to the non-accredited basic sectors in line with the conduct of the Bottoms-Up Budgeting (BUB) for the local poverty reduction action plan (LPRAP). Matugas added that in close coordination with other agencies and LGU departments, the project proposals prepared by their planning office, together with concerned departments, were favorably considered for implementation by various national government agencies and overseas development assistance, generating a total project amount of about P136 million. Also, under the peace and development program of Payapa at Masaganang Pamayanan (PAMANA) managed by the Department of Interior and Local Government (DILG), another P10 million was given to the earlier granted P4.5 million for the improvement of farm-to-market road with a livelihood support component. “The various projects proposed for national agency funding under the LPRAP-BUB process also totalled P40 million for 2014 excluding the LGU equity of about P8 million. Another project proposal was also prepared to access the P3 million Performance Challenge Fund (PCF) of DILG in relation to the city’s cash award incentive of the Seal of Good Housekeeping for 2012,” disclosed Matugas. Matugas cited as well the proposal on site development and engineering design plans for the city’s new socialized housing project in Brgy. Cagniog. The area of more or less seven hectares to be developed was also approved for funding by the National Housing Authority in the amount of P22 million. In terms of fiscal administration, Matugas bared that the city’s total income last year increased to more than P512 million. “This is a modest increase of almost seven percent compared to that of the 2012 income of about P479 million. In the last five years, from 2009 to 2013, the city’s income increased at a rate of about three percent per annum,” he said. Matugas stated that among the major contributors of the city’s locally-sourced revenues are: business taxes 23 percent, income from economic enterprises 21 percent, business and service income 16 percent, special education tax 12 percent and regulatory fees 8 percent. The rest of local revenues come from other taxes composed of community tax, franchise tax, occupation tax, professional tax, property transfer tax, tax on delivery trucks/vans, sand and gravel tax, socialized housing tax, and the interest income from time deposits. “On the other hand, the total expenditures of 2013 amounting to P467 million constitute a per capita expenditure of P3,125 based on a projected 2013 population of 149,449. This increased by almost 5% from that of the previous year,” said Matugas. He revealed that the net income of local economic enterprises in 2013 totaled P7.202 million. The profitability rate of the city’s economic enterprises increased to 23 percent from last year’s 22 percent. In addition, activities relating to human resource recruitment, evaluation, promotion and grievance system were done in accordance with the prescribed guidelines of the Civil Service Commission, especially in view of maintaining the city’s Level II accreditation with the commission. “We have also gone through the workshops for the implementation of the Strategic Performance Management System (SPMS). Five in-house seminars, training-workshops were conducted last year,” Matugas said. SURIGAO CITY, Apr. 24 (PIA) – City Mayor Ernesto Matugas reported several accomplishments on its health and nutrition programs that benefitted its constituents, during his State of Local Governance Performance Report (SLGPR), held Thursday at the city gymnasium here. Matugas mentioned that the city’s Crude Birth Rate (CBR) average is around 19.02 in the last five years while the Crude Death Rate (CDR) has steadily increased since 2010, hence reflecting a decline in the natural increase in population from 1.4 in 2009 to 1.1 in 2013. “Lifestyle-related diseases, such as Cardio-Vascular Disease, Multi-Organ Failure and Cancer as causes of deaths are steadily increasing each year. Meanwhile, Septicemia, Pneumonia and Tuberculosis remain among the top infectious diseases in the locality,” he said. Matugas, further bared that the Infant Mortality Rate (IMR) was at its lowest level for this 5-year period, reflecting more effective and improved service delivery in Infant Health Care and Nutrition in the Barangay Health Centers. “Compared to other cities in the region, Surigao City had a relatively high mortality rate for under five children at 20.36. The most common causes of deaths were Septicemia, Pneumonia, and Acute Gastroenteritis. Maternal Mortality Rate increased from 3.11 in 2012 to 5.62 (per 1000 live births) in 2013. However, 10 out of the reported 16 cases of maternal deaths were non-residents of the city,” he clarified. In line with the Maternal Child Health and Nutrition strategy, the city government implemented various programs and activities aimed at improving women’s health and ensuring safe motherhood, and ultimately preventing maternal deaths. Seven birthing facilities operated 24/7 to provide quality and low-cost obstetric services to the pregnant women. A total of 908 deliveries were served by these facilities during the year, with San Juan District registering the highest number of births. In 2013, 88 percent of deliveries were already facility-based. “We also would like to thank the Department of Health (DOH) for the completion of the Washington Health District Birthing Facility,” expressed Matugas. The School Based Adolescent Immunization Program of the DOH and the Department of Education (DepEd) was implemented during the year to prevent the rising number of adolescents who are vulnerable to vaccine preventable diseases. Accordingly, 5,396 students in 22 public secondary schools were immunized. Matugas further revealed that in the area of Nutrition, the prevalence rate of Underweight and Severely Underweight Preschool children decreased from 12 percent in 2012 to 10 percent in 2013. “Among schoolchildren, the division reported that 0.60 percent were severely underweight in kindergarten, 0.72 percent in the elementary level and 0.80 percent in the secondary level. A mix of strategies and interventions were undertaken by the city government in cooperation with other sectors, which among others include: supplemental feeding, provision of Iron and Vitamin A supplements, and the Gulayan sa Paaralan. We would like to thank our partners, the various groups and organizations for their never-ending support in these endeavors, especially the conduct of supplemental feeding activities,” highlighted Matugas. Also, in line with the Community-Based Rehabilitation program, the city government of Surigao in partnership with the APO Southern Zamboanga Alumni Association, Mabuhay Deseret Foundation, the Loving Presence Foundation, Incorporated and the Caraga Regional Hospital, successfully conducted the Project B.O.S.S. (Brotherhood Operation Sight and Smile). “A total of 64 patients composed of 34 cataract cases, 16 pterygium cases, 12 cleft lip cases and two cleft palate cases availed of the free medical and surgical services rendered by the team of medical experts,” cited Matugas. SURIGAO CITY, April 24 (PIA) – Mayor Ernesto Matugas revealed the city’s several recognitions received during the year 2013 during his State of Local Performance Report (SLPR) on Thursday here. During his SLPR, Matugas revealed that the city during year 2013 has received several recognitions. “For third consecutive year, we are an awardee by the Department of the Interior and Local Government (DILG) of the Seal of Good Housekeeping (SGH), silver category,” he said. 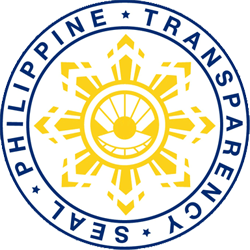 The Seal of Good Housekeeping, according to Matugas is given to Local Government Units (LGU) as recognition for good governance performance in internal housekeeping particularly on four areas, namely 1) Good Planning; 2) Sound Fiscal Management; 3) Transparency and Accountability; and 4) Valuing of Performance Monitoring. Also, Matugas said that another recognition was received by the city, being considered by National Competitiveness Council (NCC), as the 13th most competitive city in the Philippines. The NCC is a public and private sector taskforce on Philippine competitiveness created by Presidential Executive Order No. 44 of the present administration, chaired by the Department of Trade and Industry with the private sector co-chair. “Being on the top 13 out of the 122 cities surveyed and rated is already a significant achievement for a small city like ours competing with highly urbanized cities and metropolitan cities all over the country,” Matugas said. "It should be pointed out that since my incumbency beginning in 2010, we have been awarded with the Seal of Good Housekeeping for three consecutive years, that is for 2010, 2011 and 2012 and the Regional Winner of the Gawad Pamana ng Lahi for another two consecutive years in 2011 and 2012,” Matugas said. This is of course on top of all the other accolades we have received through the years which include our retaining the award as Child-Friendly City in 2012, Regional Winner as Best 4Ps Program Implementer, and several others,” he added. The SLPR of Mayor Matugas is held at the city’s auditorium participated by local officials, office heads, and Surigaonons. TANDAG CITY, April 24 (PIA) – The three-day regional assembly of the Vice-Mayors’ League of the Philippines (VMLP)-Caraga chapter has kicked off today at Villa Maria Luisa Hotel in Tandag City, Surigao del Sur. With the theme, “The Vice-Mayors – Their Roles to the Road of Development,” Tandag City Vice-Mayor Ruel Momo, VMLP-Caraga OIC-President, is set to call the said assembly to order at the opening program which starts at 5:00p.m. Both Tandag City Mayor Roxanne Pimentel and Surigao del Sur Vice-Governor Manuel Alameda, Sr. have their respective parts in the opening program—words of welcome for the former and message for the latter. Afterwards, dinner and fellowship will follow. Based on the official program, the second day is entirely allotted with series of lectures that will be provided by invited national government agencies. The Department of the Interior and Local Government (DILG) is tasked to discuss “Legislative Measures for Developing LGUs; the Department of Agriculture (DA) is assigned to expound on “Priority Agricultural Program in Caraga;” the Commission on Audit (COA) has to give “Updates on the COA’s Rules and Regulations;” while, the Department of Public Works and Highways (DPWH) on “DPWH Programs and Projects in Caraga Region.” Also, an open forum is set right after hearing all the lectures. But on the eve of the final and third day, a fellowship and camaraderie is going to be held. City of Manila Vice-Mayor Francisco “Isko Moreno” Domagoso, no less, is going to deliver the final message being the guest speaker. Preceding Vice-Mayor Isko Moreno will be Surigao del Sur Governor Johnny Pimentel and Agusan del Norte First District Congressman Lawrence Lemuel Fortun with their respective messages, however, the latter is also tasked to introduce Moreno. BUTUAN CITY, April 24 (PIA) - More than 300 Barangay Population Volunteers (BPVs) are now mobilized to generate demands for Family Planning and ensuring its linkage to FP services, after a series of trainings were conducted in all cities and provinces of Caraga Region on March – April, this year. The training sponsored by the Commission on Population was designed to equip the volunteer workers with the latest information on Responsible Parenthood and Family Planning (RP-FP) program particularly the new implementing guidelines and the required forms. Regional Director Alexander A. Makinano of POPCOM believed that the BPVs played an important role in meeting the family planning needs of the couples. The POPCOM Chief emphasized that priority to be reached out by the volunteer workers are those Pantawid Pamilya beneficiaries. The conduct of the RP-FP classes in the Family Development Session shall be linked to appropriate services. Makinano cited that the region shall reach 50,000 4Ps couples of reproductive ages through RP-FP classes. Of these, 12,500 couples are expected to be given appropriate FP services of their own choice. TANDAG CITY, April 24 (PIA) – Capitol employees of Surigao del Sur have been cautioned about “loafing” from duty during regular office hours. Provincial Prosecutor Atty. 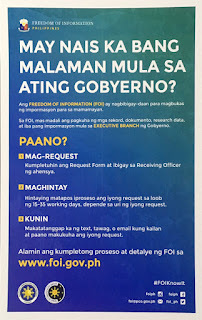 Florito Cuartero said that wasting time while on the job like watching television, doing something on Facebook, whiling away in the lobby or any sort of that nature that may be construed as wasteful manner is loafing in the civil service parlance. It was learned that under the Revised Rules on Administrative Cases in the Civil Service (RRACCS) promulgated on November 18, 2011, loafing is classified as a grave offense which is punishable by suspension of six months and one day to one year for the first offense and dismissal from the service for the second offense. The prosecutor noticed that almost every office in the provincial government is provided with a television set. On the other hand, Governor Johnny Pimentel lauded Cuartero for bringing the matter out to the attention of the employees. Pimentel said that having the prosecutor during flag ceremony program—if possible on a weekly basis—may bring something new to learn about. Loafing, among others, was just one of the important topics that Cuartero discussed on Monday’s flag ceremony program which was also their office’s turn to host.